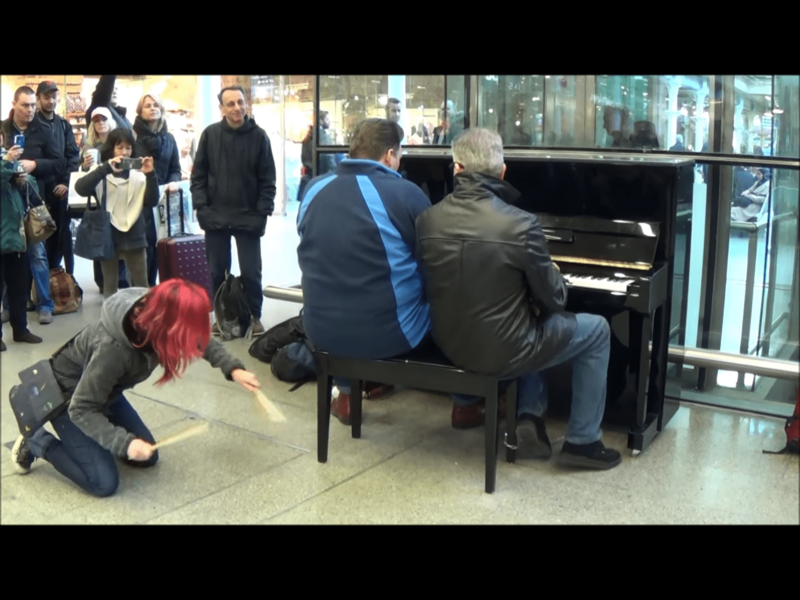 As most people know, there are public piano’s in a lot of large train and metro stations and sometimes, commuters are in for a musical treat. 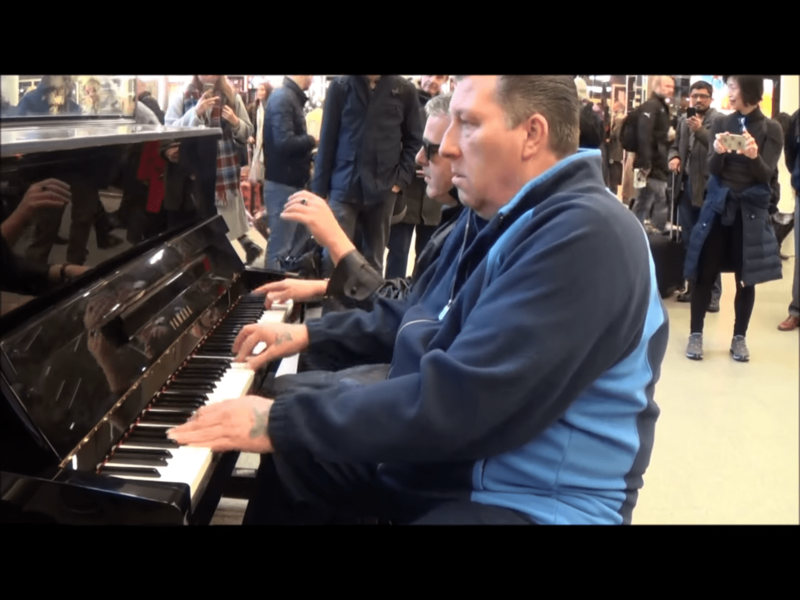 Two men decided to play an amazing ‘Boogie Woogie’ jam on the public radio at the St. Pancras Station in London, but it was a third performer who absolutely stole the show. 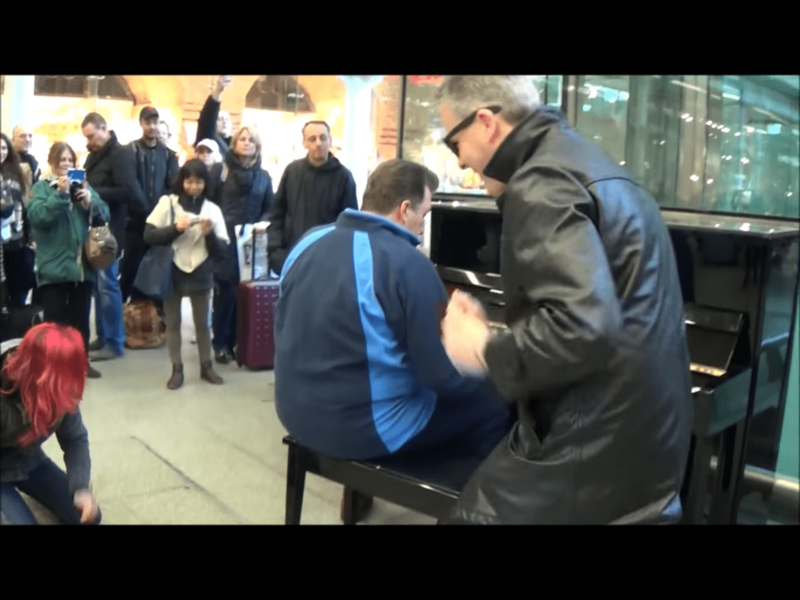 In what can only be described as one of the best boogie woogie and blues piano jam sessions ever recorded at a public place, this musical trio blew the roof off the place. The two men on the keys, known as Dr. K and Big John Carter, operate the piano with incredible enthusiasm, skill, and finesse. These talented musicians definitely know how to make the crowd feel energized and ready to dance, but the fantastic piano tunes are complemented by a woman playing rhythm sticks on the ground. The woman with red hair, who uses the artist name Violet the Cannibal, can make music just about everywhere she goes. With her rhythm sticks in hand, she adds a completely new dimension to the boogie woogie jam and it’s absolutely phenomenal. 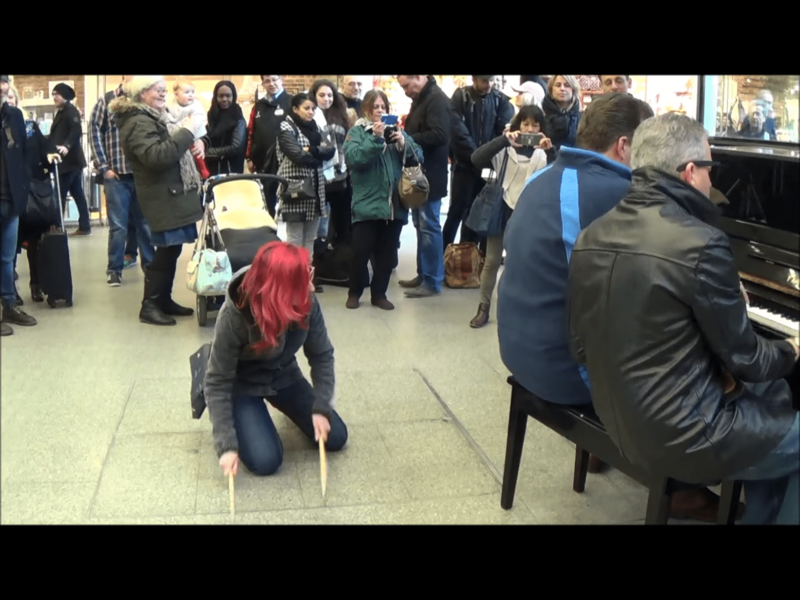 Drums, the floor or a chair – this talented musician can make any surface her instrument. Violet isn’t only a full-time professional drummer, but she also teaches drumming lessons as well. As you can see, however, you don’t always need actual drums to make a great performance even better. She also worked with the punk band Vice Squad and toured for two years with Adam Bomb, who is considered to be a musical legend in his genre. The two other performers, Dr. K, and Big John Carter, definitely have a passion for music as well. Carter even performed at the 2010 UK Boogie Woogie Festival, where he played the piano for over eight minutes while the crowd went absolutely wild. Speaking of pianos, this particular piano that they’re playing on was donated by none other than Elton John. The superstar definitely knows how to make people dance, and it looks like this extremely talented musical trio is trying to do just that. 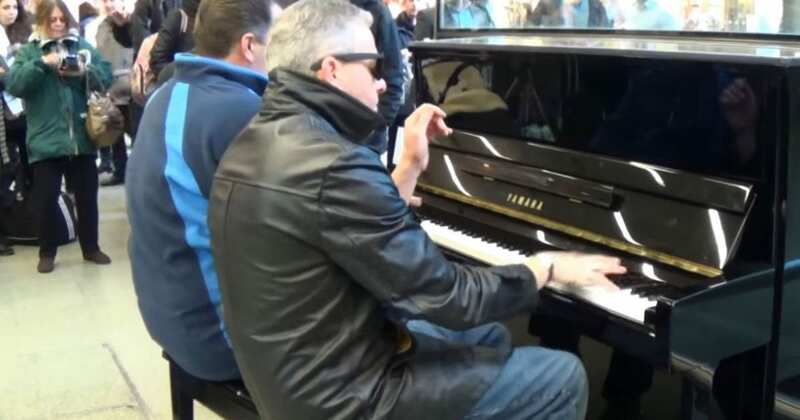 Sir Elton John surprised the commuters with a great impromptu performance to promote his new album back in 2016, and he brought his own Yamaha piano. 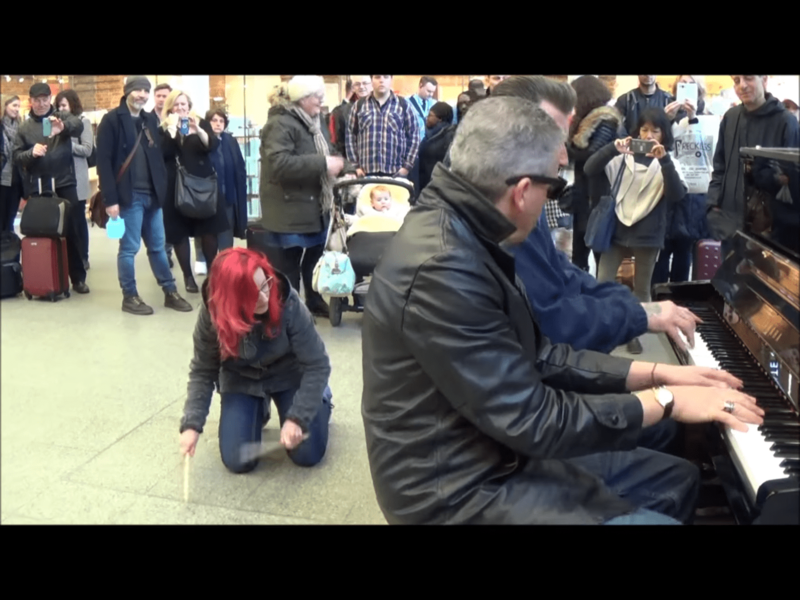 As a sign of gratitude, he decided to leave the piano right there so that other people and commuters could play it. 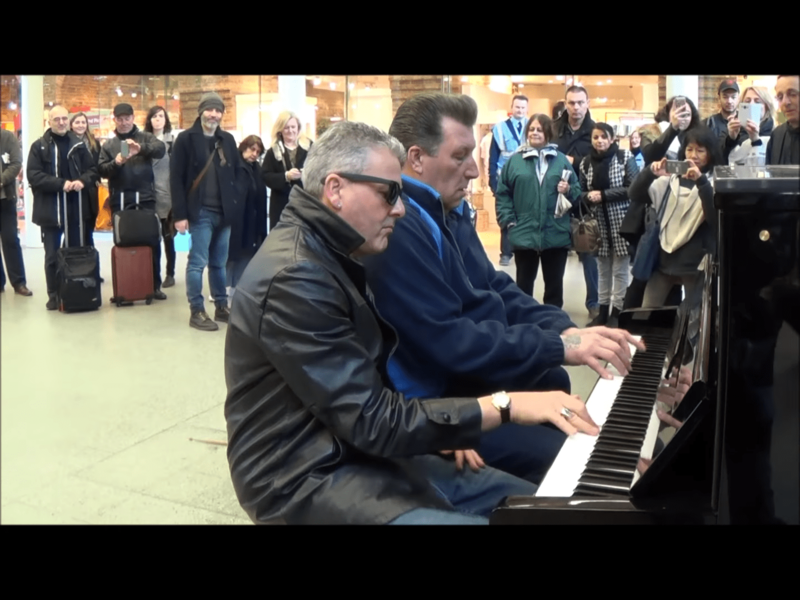 The boogie-woogie performance in St Pancras definitely hasn’t gone unnoticed. Violet, Dr. K, and Big John quickly had a large crowd surrounding them, enjoying the great show. In the middle of the song, one of the pianists even stood up to get the crowd going even more! As you can imagine, they were met with a great round of applause afterward. With a smartphone in hand, someone managed to capture most of the song and then posted the footage online. This impromptu performance has been seen over two million times on YouTube! These three have received a massive amount of supportive comments, with people praising Violet’s percussion performance in particular. “WOW! Terrific video! Sure wish I could see and hear something like this in person…just not at the right place at the right time. Wonderful!” Martie Rollin wrote. One thing is for sure: this piano has had some amazing people playing amazing songs on it, and this is just one of many examples. 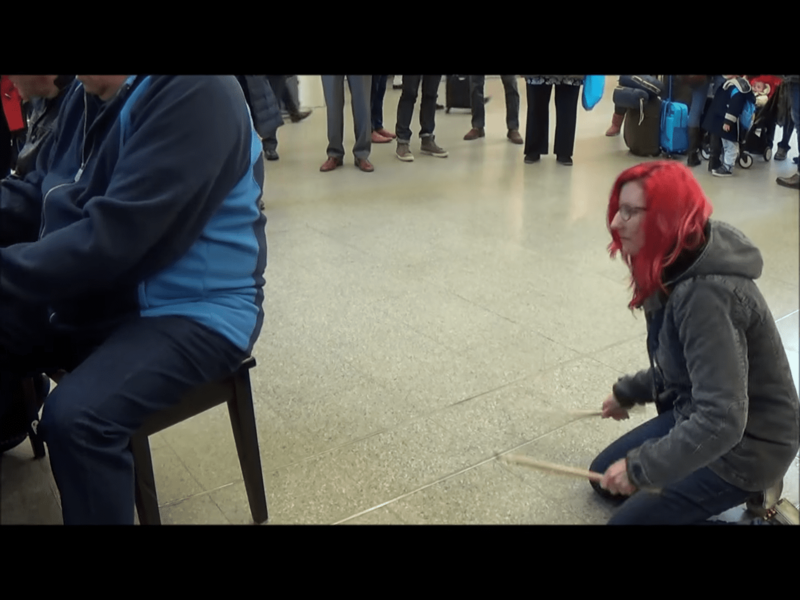 You never know what kind of incredible music performances you’ll see at a public piano!